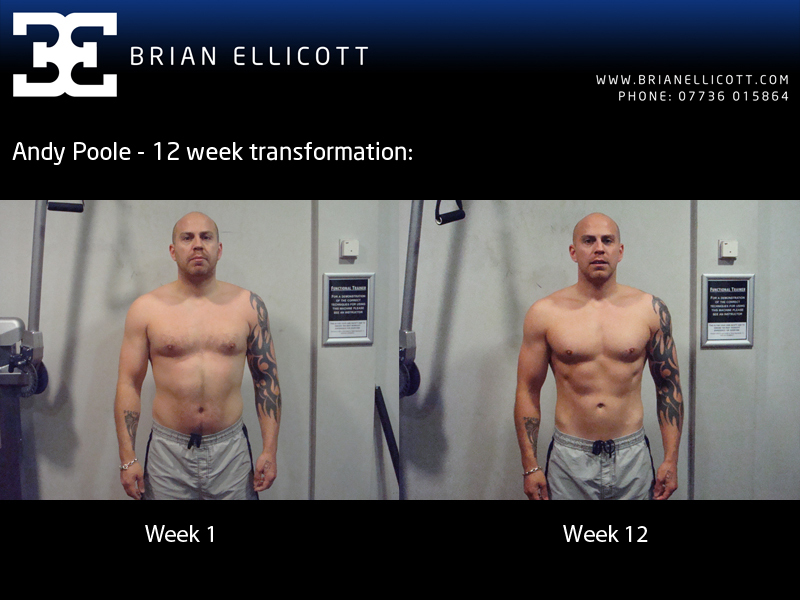 Here’s Andy’s final 12 week comparison. Massive well done to him for his hard work, dedication and the great results he has acheived! An interview on how we did it will be following very soon!